Ever wondered about who is behind Banned Books Week? Librarians of course! 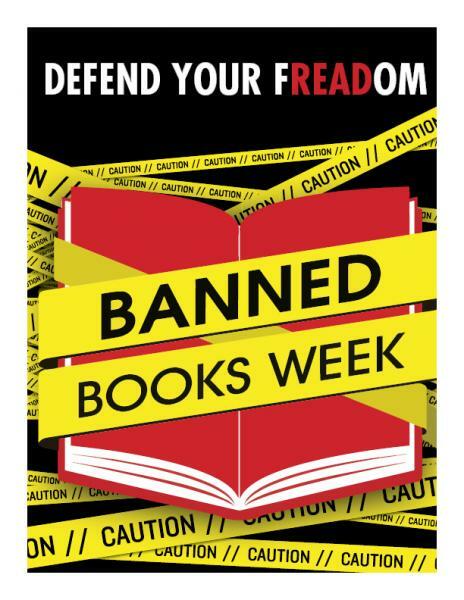 Banned Books Week is sponsored by the American Library Association (ALA). ALA supports and advocates for all library issues and topics, but one of the main tenets of ALA Library Bill of Rights (2015) is, “libraries should challenge censorship in the fulfillment of their responsibility to provide information and enlightenment.” To uphold this idea and policy, ALA does not advocate for the censorship of any materials found in school, public, academic, or any other type of library, instead they celebrate and promote the books that are challenged or banned in many areas.